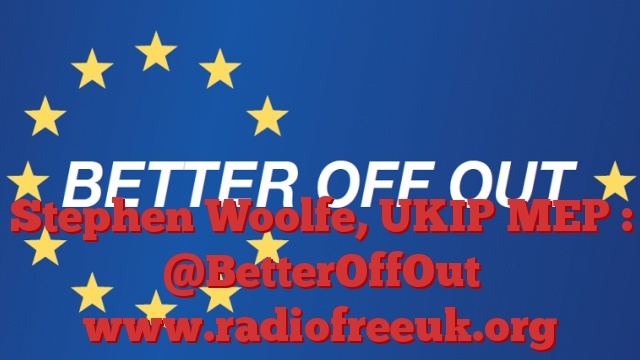 The Better Off Out Podcast, introduced by Rupert Matthews the National Campaign Manager. You can find Better Off Out on Facebook, Twitter and YouTube as well as on our website www.BetterOffOut.net. We welcome all Brexiteers and offer a wide range of campaigning materials and activities. Go to our website and check us out. This podcast takes as special form as it is given over entirely to a single speech – and what a cracker it is. This was a speech given by Steven Woolfe, UKIP MEP for the Northwest of England. The event took place in Iver in Buckinghamshire, but it is applicable throughout the UK – and beyond. Excellent speech by Stephen Woolfe. A really excellent speech. We need more of these and spread about as widely as possible.